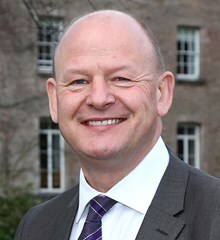 Paul Crute is the Founding Principal of Nord Anglia International School Dublin. Previously, Mr Crute was Head of The Royal School Armagh for 15 years. He held leadership and teaching positions at prestigious schools in Europe and Africa, namely Aiglon College in Switzerland, the British International School, Cairo, Egypt and Gordonstoun School in Scotland. He is a former chair of the Headmasters' & Headmistresses' Conference Irish Division, and a former international schools accreditation chair for the Council of International Schools.